This is one of the most versatile and useful casts you will ever learn to make, not perhaps technically a cast in itself but a very useful skill to master. So what is a roll cast pick up? Or perhaps we should start with “what is a roll cast”. 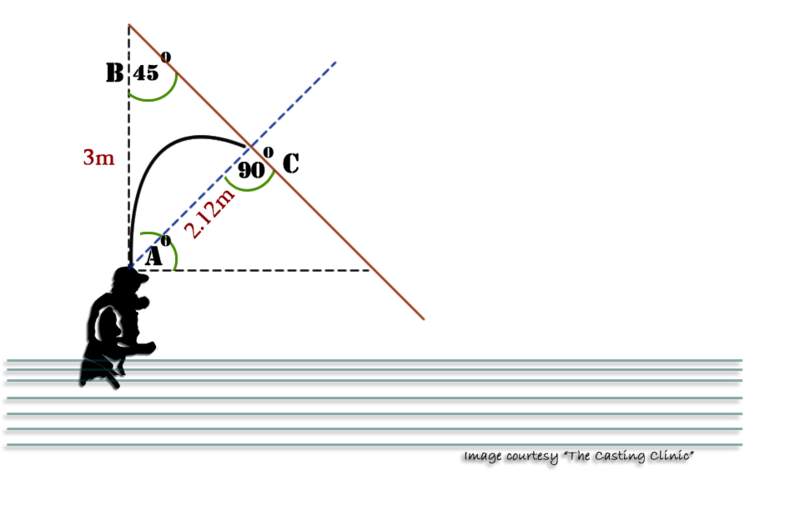 All too often people attempting roll casts end up with the line lying in a bit of a puddle and I think that the error is in the understanding of the “roll” part of the description. 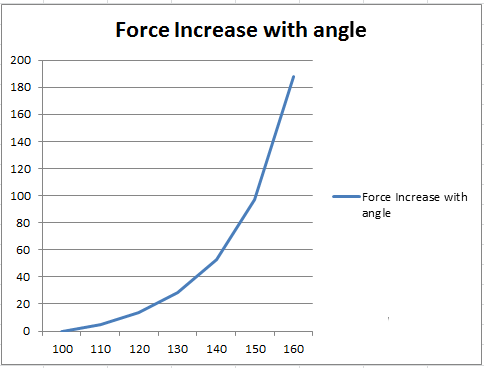 Sure the line “rolls out” but the casting stroke shouldn’t be one of rotational acceleration. It should, as with all good casts be one of more straight line “translational acceleration combined with rod rotation at the end”. 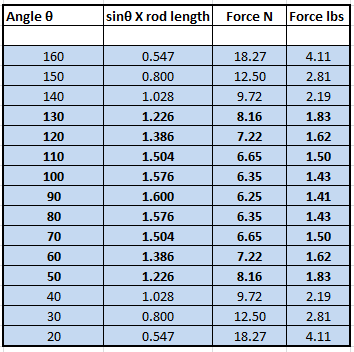 Actually, the forward part of a good roll cast, from the angler’s perspective should be identical to a normal forward stroke in an overhead cast. 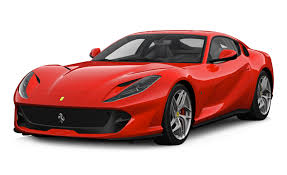 Bear in mind though, that you are only accelerating the little bit of line that is behind the rod, so it requires a different amount of acceleration, for my money, the longer the better. Getting the maximum amount of line in the “D” loop and extending the stroke for as long as possible aid good roll casting to a considerable degree. So a roll cast is one in which the line is drawn back behind the rod tip to form a “D” shaped loop, (the vertical leg of the “D” being the rod). 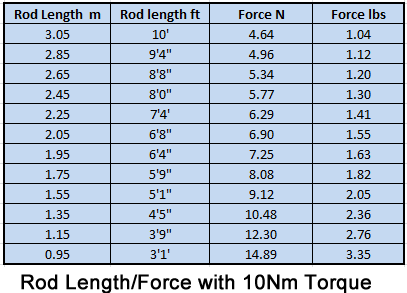 Then the forward stroke is the same as a normal forward cast, it is worth noting that with a roll cast, the distinct stop at the end of the forward stroke is perhaps even more important than with a standard overhead cast. Roll casting has a serious drawback though, you can’t change direction and without modification you would simply keep placing the flies back in the same spot. It also isn’t great for dry fly work, because of course the fly tends to stay damp without the drying effects of overhead casts and false casts. So why bother to learn to roll cast? Firstly, the roll cast is the basis for the dynamic roll, switch cast and the entire family of Spey casts, you might think that you will never need those but even if you aren’t going to use Spey casts another great reason for perfecting your roll cast is that it has a wonderfully useful cousin, called the “roll cast pick up” and that is useful to almost every kind of fishing you might imagine. 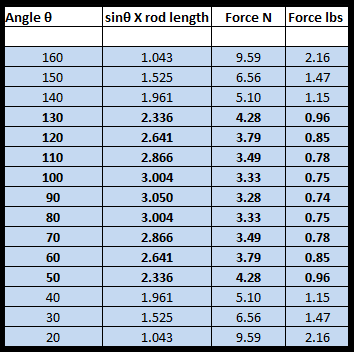 The roll cast pick up is essentially the same as a straightforward roll cast, but that the casting angle is set much higher to aerialize the line prior to the back cast. The roll cast pick up is a cast which uses the exact same methodology as a roll cast, but as one can vary the vertical direction of a standard cast you can do the same with a roll cast. That is you can roll cast down into the water (not a great idea), or you can roll cast upwards into the sky. 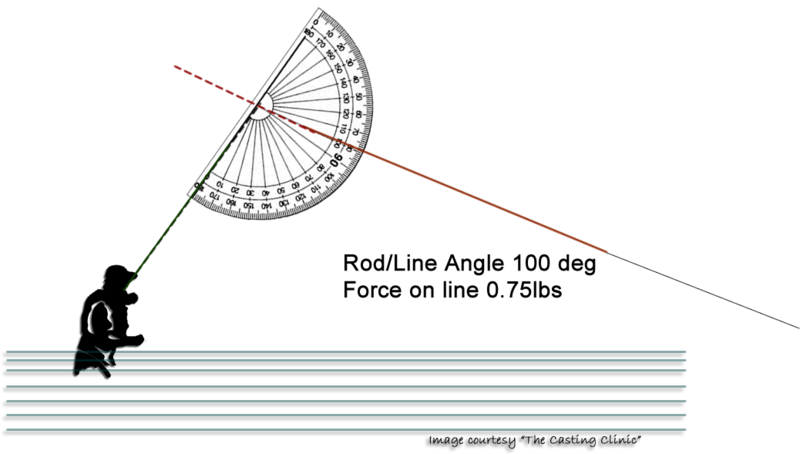 A roll cast upwards provides one with a lot of benefits and multiple uses in all kinds of fishing. #1: Long leader dry fly or Euro-nymphing fishing. 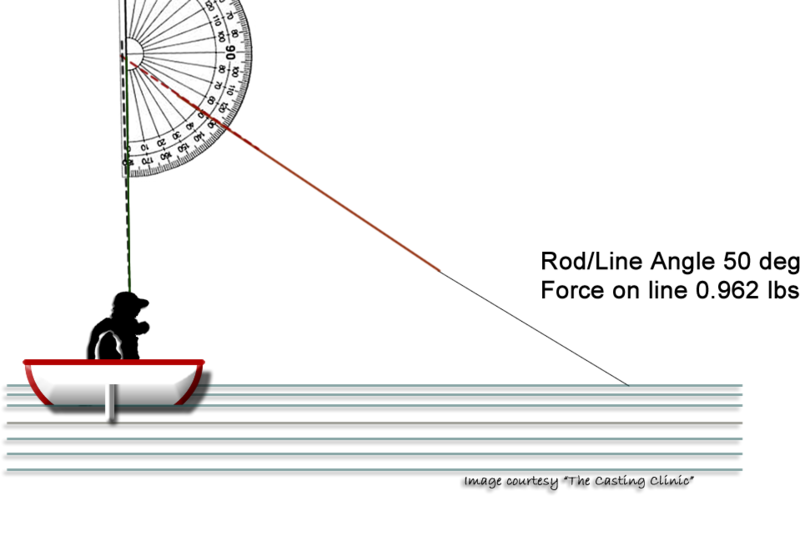 A problem frequently faced with these styles is that the leader runs back inside the rod guides before the drift is complete. 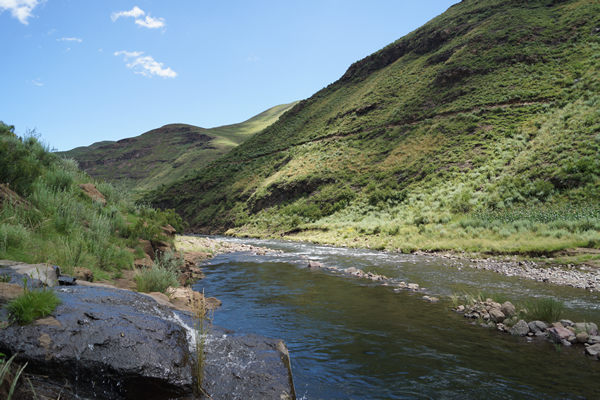 To avoid that, most anglers will lift the rod to take up slack as the flies progress downstream towards them, instead of drawing in more line. That’s good but it leaves one in a very poor position to start the next cast. 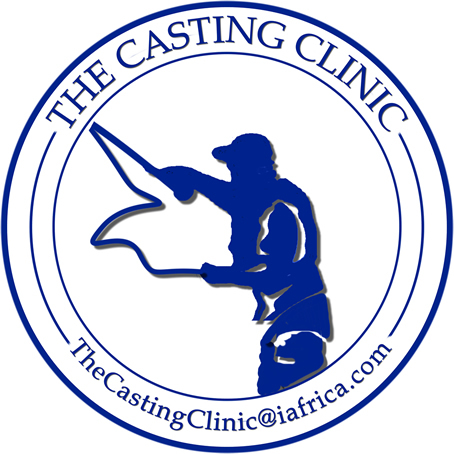 (Remember that all casting instructors will tell you to keep the rod tip down so as to eliminate slack at the start of the next cast). 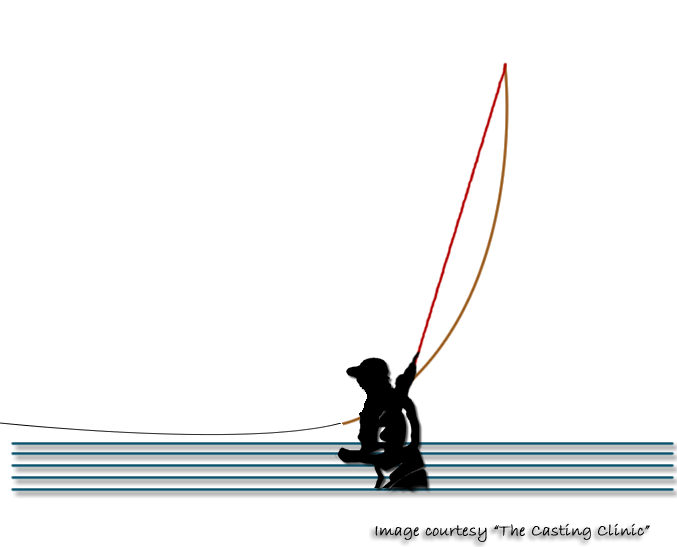 It is almost impossible to make a good cast starting with the rod tip high, and yet long leader styles often leave the angler in this position. 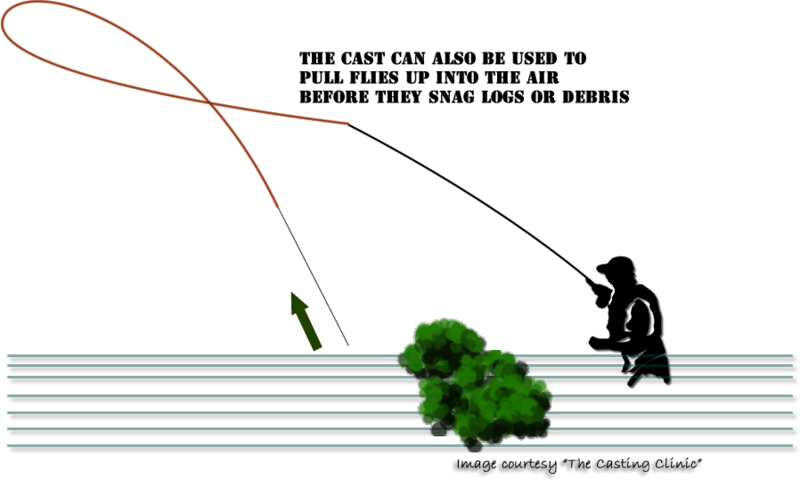 However if you use the high rod tip to create a “D” loop, just as though you were going to make a roll cast, and then roll cast upwards, you end up with the line in the air, in front of you and ready for a back cast. 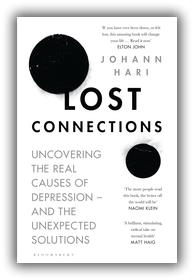 Eliminating slack and putting yourself already in a great position for the next cast. It doesn’t hurt that this is a very efficient cast not requiring multiple strokes and thus putting your flies back in the water, where the fish are, far more efficiently. #2: Heavy nymphs, sink tips, bulky saltwater flies. 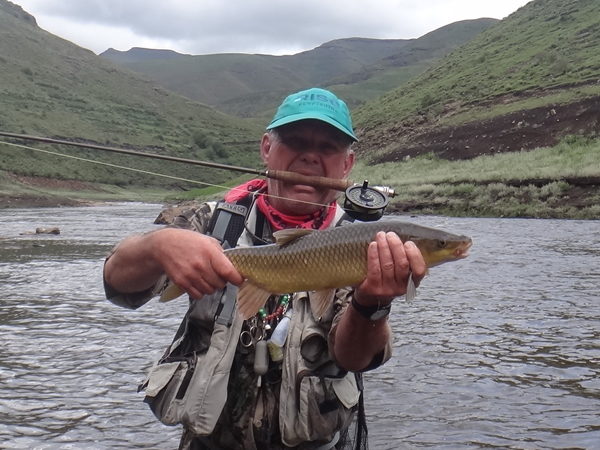 With a standard pick up when fishing outfits as outlined above, you are forced to drag well sunk flies, leaders, or bulky flies out of the water, using up a great deal of energy and creating, all too often a lot of disturbance on the water. 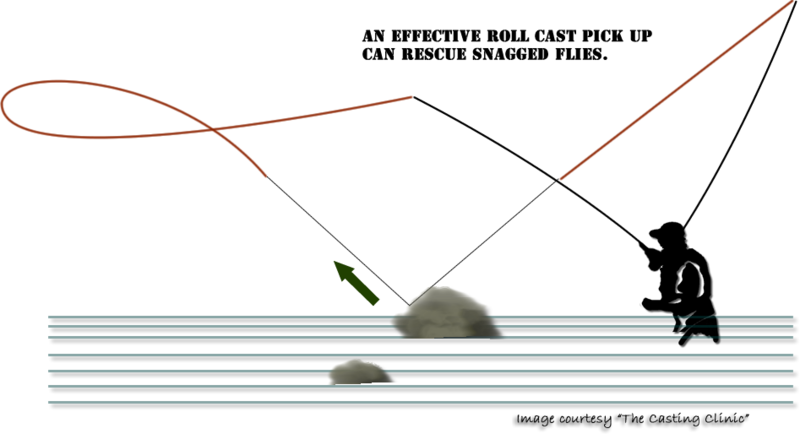 If however you make a roll cast pick up, the motion of the line pulls the flies, and/or leader, nearly vertically out of the water. This minimizes energy loss and surface disturbance. 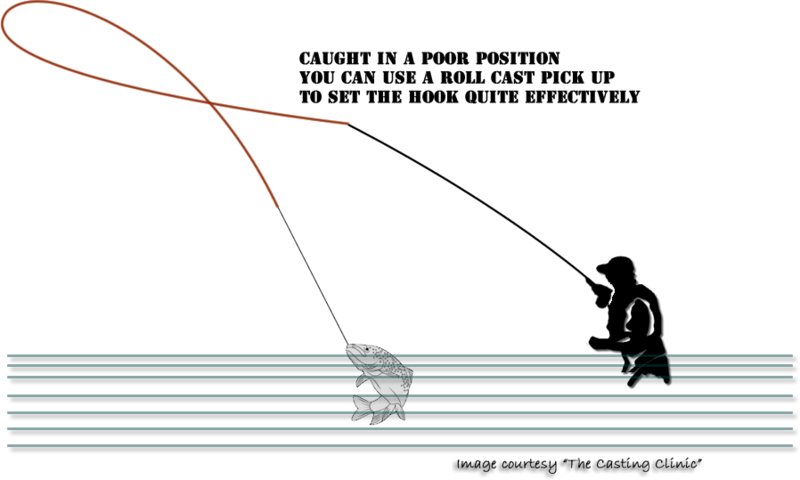 Much as with example #1, pulling in too much line with faster actioned rods makes it very difficult for most anglers to “get the cast going again”. 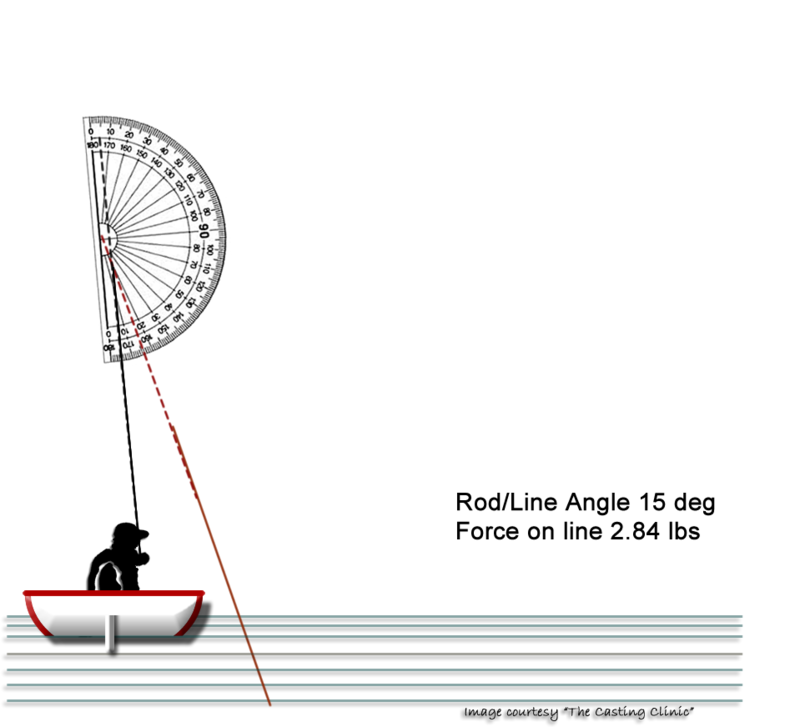 If instead you take up slack with the rod tip during the latter part of the retrieve you can keep more line (and thus mass) outside the rod tip. With a roll cast pick up then you are immediately casting a more suitable weight of line, reducing false casting and maximizing efficiency. #4: Strong wind from behind. Most anglers will tell you that they prefer to fish with the wind behind them, often not the best choice because you are casting into the wind on your back cast and most people’s back cast is weaker than their forward stroke. However the commonly accepted principle of casting with wind is that you cast “downwards” into the breeze and “upwards” with the breeze. That makes a lot of sense, because the upward cast with the breeze is aided by the wind. Flying out like a kite if you will. We know that, based on the 180° rule, that to make a forward cast low into the wind, you need to make the back cast “high” with the wind, and vice versa. 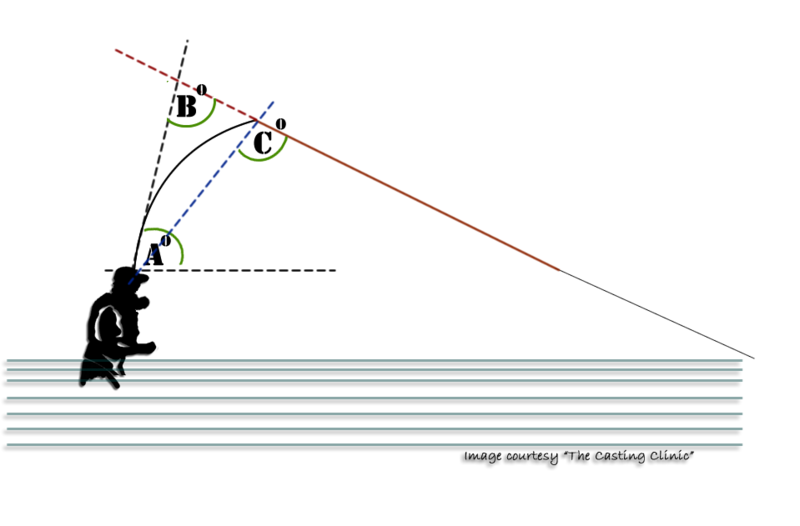 Making a high initial back cast, when the wind is into your face is easy, because the line is coming off the water and thus the 180° rule confirms that your initial back cast MUST then be upwards. But what if the situation is reversed? 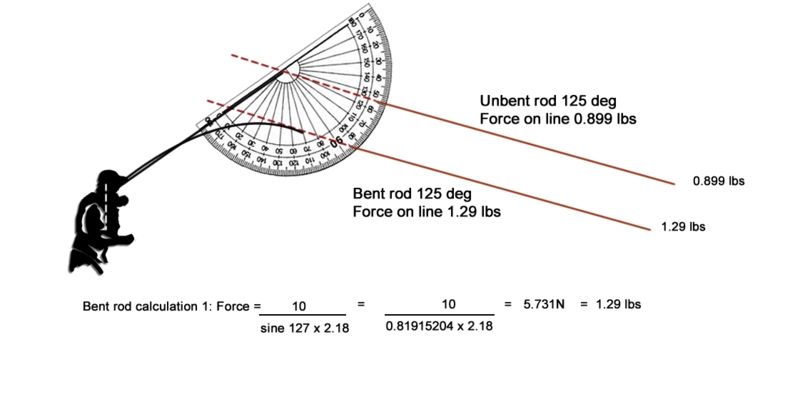 Standard logic is that you cast upwards behind you and then let the line fall, rotating the rod at the same time, to position yourself so as to launch a forward cast with an upward trajectory. The problem here is that with anything like a serious amount of wind coming from behind you, you can’t “wait”. If you do the line is going to pile up in the air, stopped in its tracks by the gale. Now what if you could start your backcast on a horizontal or better yet downward angle, wouldn’t that be a huge advantage? 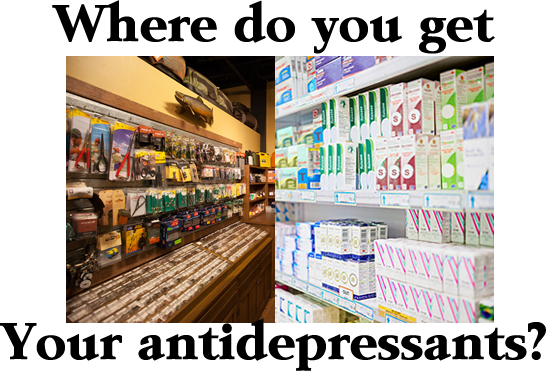 Well you can if you use a roll cast pick up. 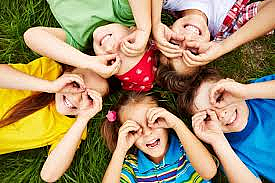 Roll cast upwards into the air, the wind from behind will assist that even with a less than perfect roll cast. With the line up in the air in front of you and you can now blast a powerful downward sloping stroke into the breeze on your back cast and without waiting, launch your upward slanted forward cast which now wind assisted will sail out for miles.. Easy when you think about it. Although there are a lot of ways to make change of direction casts, moderate changes of direction, up to perhaps 45°, can be very easily achieved using a roll cast pick up. Roll cast pick up with the forward stroke angled half way towards the new target and make the forward cast at the new target. By splitting the change of direction into two strokes it will be more efficient than trying to do so with standard overhead casting. 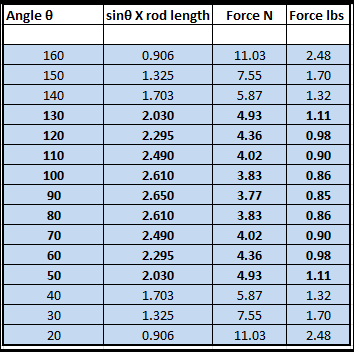 If one uses the rod tip to control slack in the latter part of the drift, as per #1 and #3 not only do you end up in a poor position to commence a standard overhead cast, but you are also in a poor position to strike should you get a take right at the end of the drift. 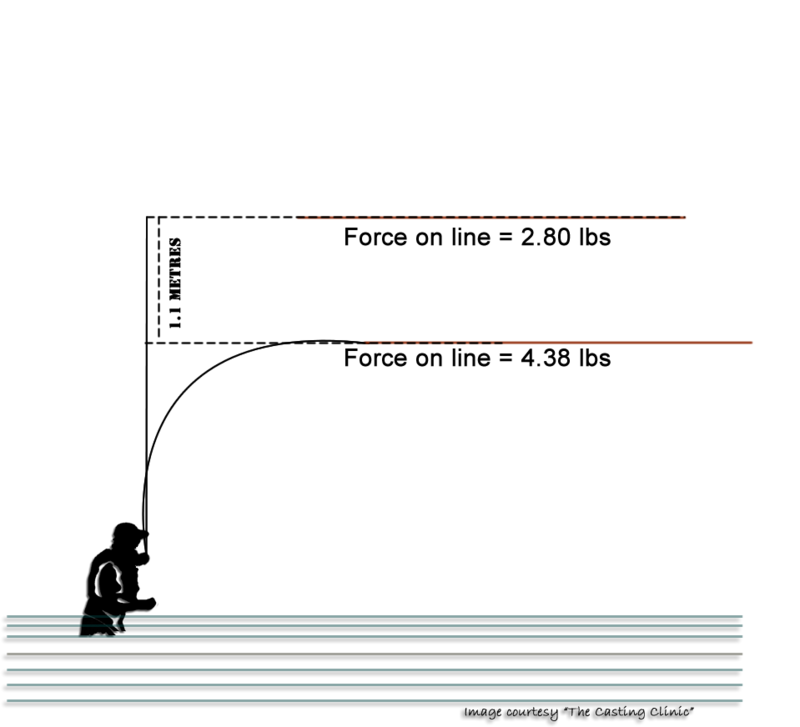 Amazingly you can generate sufficient striking power to hook a fish by making a roll cast pick up. 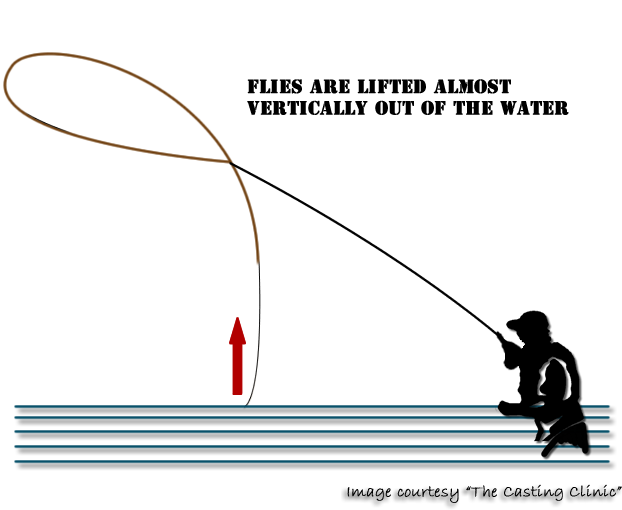 Don’t forget that the roll cast pick up will “lift the flies” near vertical, which will frequently result in a very positive hook up. 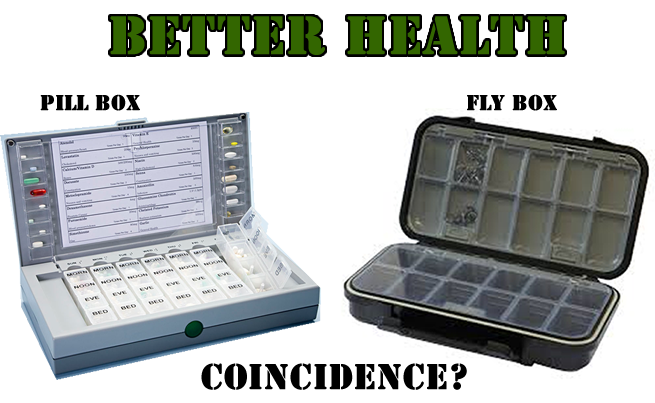 Perhaps not that common, but it does happen that a standard pick up would result in your flies hanging up in intervening obstacles which you cast over to get to your fish. A roll cast pick up, takes the flies out of the water pretty much where they are, without need of dragging them down into the risky tree trunk or weed-bed that is in the way. This is a particularly common issue when fishing in stillwaters with a weedbed around the edges in the shallows. Instead of having to clean the weed off the fly on each retrieve you can simply avoid hooking the weed in the first place. By the way, the roll cast pick up, (preferably after letting more line out into a large “D” loop), will unhook your fly from obstacles in front of you fairly efficiently too. So you can get free of the snag without spooking your fish. I am sure there are more uses for this amazingly useful casting stroke, one that all too many anglers haven’t heard of or haven’t considered. But for all the fancy casting that one can play with, the roll cast pick up is an astoundingly practical one and worthy of mastery for all anglers. It doesn’t matter if you fish fresh or salt, big flies or small, stillwaters or streams, this is a cast that can improve your efficiency, aid you in the wind, avoid obstacles and make casting those weighted streamers a lot more pleasant.